Providing you the best range of epoxy primers, top coat paint, pu flooring, protective coatings, industrial protective coatings and intermediate coats with effective & timely delivery. We have full devout in manufacturing and supplying the best quality Epoxy Primers. Our offered range of primers is widely trusted for applications in corrosive environments, as the offered products feature superior electrochemical characteristics. Owing to the state of art manufacturing facilities we are developing zinc rich organic and inorganic primers, along with Epoxy type, PU and EPU types which are tried and tested rigorously. Further, the offered range is accessible at a competitive price. Cipy offers different types of primers based on different electrochemical characteristics, depending on the types of corrosion encountered. Sacrificial primers. The sacrificial primers work on galvanic principle, in which zinc metal is being consumed to protect steel. There are two types of sacrificial primers, which are generally called as Zinc rich primers: inorganic and organic. Surface tolerant primersThese types of primers are recommended where elaborate surface preparation is not possible. They have excellent adhesion on compromised surfaces. Cipy offers a miscellany of topcoats based on different chemistries. The first to make a solvent-free polyurethane floor topping in the country, Floorkote SL is a fast setting, a flexible self-levelling system designed to provide an extremely abrasion resistant. 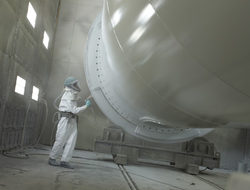 We have complete allegiance in manufacturing and supplying modern day Protective Coatings. We bring forth an array of specialty coatings which includes polyurethane, epoxy, MCU and polyurea technology suitable for industrial and commercial surfaces. Developed by implementing pioneering technology of surface protection the offered coatings are compliant to highest industrial standards and can be ordered from us in varied thickness specifications at a nominal price. We are well known enterprise engaged in manufacturing and supplying highly viable Industrial Protective Coatings. 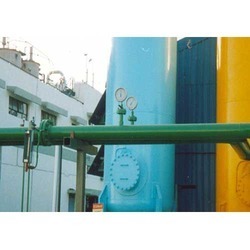 We are developing an extensive range of top coats which includes PU type, EPU type, Novalac-epoxy type and Coal tar blended epoxy type products developed by varied chemistries for a range of industrial applications. These solvent free products are developed at our well integrated facilities and thoroughly tested for reliable physical and chemical properties. Further, our offered grades of top coats are accessible at the market leading price from us. We are recognized as the industry leaders by manufacturing high grade Intermediate Coats. 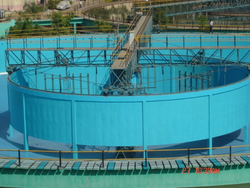 The offered coating product is thoughtfully developed for corrosion mitigation and widely demanded for reducing moisture vapor in industrial tanks and at water treatment plants. The offered coating is an Epoxy type product which is developed by procuring best quality lamellar pigments. 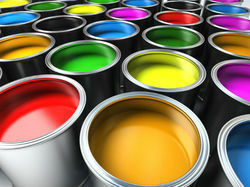 Further, our prestigious clients can order the high performing coatings from us at the best price. Our vast industrial excellence has enabled us to manufacture highly reliable Moisture Curing Urethanes. We are developing a series of single component coatings which consists of primers to top coats suitable for varied corrosive environments. The offered coating is specially designed for metal substrates as it creates strong chemical bonds to prevent atmospheric moisture. Further, our offered high performing range of MCU based primers and top coats are accessible at a market leading price. The first to develop MCU in 1978, Cipy offers a variety of moisture curing urethanes for corrosion control: Urikote series of coatings, ranging from primers to topcoats. Urikote coatings are single component, quick drying and surface tolerant. 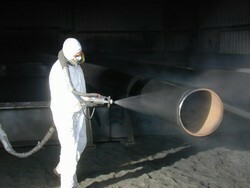 These coatings react with atmospheric moisture to form polyurea linkages. They penetrate into pores and tight crevices of highly pitted metal substrates, where moisture is usually present to form strong chemical bonds. Faster project completion:3 coat system can be returned to service within 12 hrs.